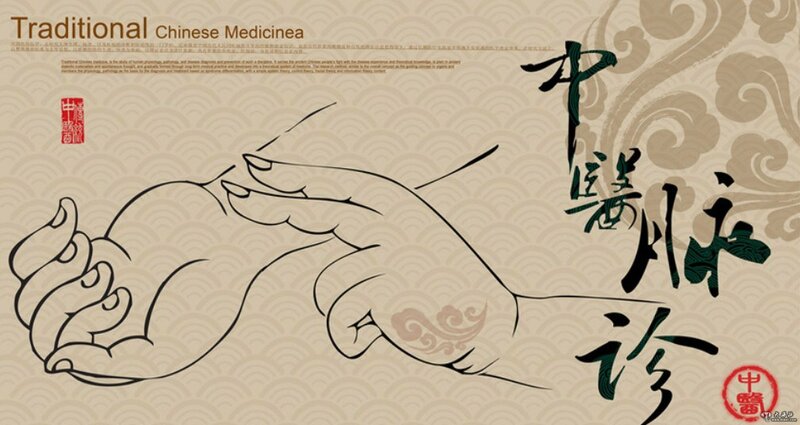 Chinese medicine is practiced in 183 countries around the world. Outside of China, the United States is the country where Chinese medicine is most developed. California has almost half of the acupuncturists in the U.S., and Los Angeles is the city in California with the largest concentration of Chinese medicine practitioners. The 2018 Third Los Angeles International Chinese Medicine Conference on Special Therapies & Product Exhibition builds on the foundation of the success of our two previous international conferences. It aims to promote the internationalization of special therapies of Chinese Medicine, exchange information on latest developments in research and clinical treatment, and provide a forum to introduce new acupuncture techniques, Chinese Herbal formulas and products, equipment. This is an exciting time for Chinese medicine in the U.S. when acupuncture is becoming an increasingly mainstream part of the American healthcare system, being adopted in hospitals such as Highland Hospital in Oakland, and Cedars Sinai in Los Angeles. At this juncture when the overuse and addiction crisis of opioid pain medicine in the U.S. has caused U.S. policy makers to seek alternative approaches to replace opioid drugs, acupuncture is emerging as one of the most effective non-pharmacological solution for pain management. We are inviting leading practitioners from all over the world to exchange ideas and share the results of their research and clinical experience. We expect this conference to provide an opportunity to strengthen the international cooperation among practitioners of Chinese medicine, to raise the quality of clinical practice, help new and effective Chinese medicine products reach new markets, and contribute to Chinese medicine’s increasingly mainstream use within medical systems in the U.S. and around the world. 4. Alhambra Medical University, U.S.
International experts, scholars and school representatives, doctors who are engaged in clinical practice and Chinese Medicine laboratory research, and Chinese Medicine and herbal product company representatives. We are inviting American local public officials, relevant American FDA officials, the Chinese Consulate in Los Angeles, Chinese Administration of traditional Chinese Medicine, and the China Overseas Federation. Reports on theme topics by world-renowned experts; paper presentations by participants; final conference compilation of scientific research and clinical experiences; discussion of academic topics; exhibition of Chinese Medicine products. Chinese and English may be used during the conference. Published materials will be in Chinese and/or English. in the East and the West. 2. Modern special technique of diagnoses, inquiry into the theory of needling techniques and demonstrations, such as scalp acupuncture, abdominal acupuncture, floating needles(FSN), trigger point acupuncture, myofascial manipulation techniques, abdominal diagnosis. 3. Most recent research developments regarding Chinese medicine and acupuncture treatments for digestive diseases, skin diseases, clinical experience, and Chinese herbal medicine treatments. 4. The use of acupuncture and Chinese medicine therapies in the U.S. to combat opioid drug overuse and addiction; how to make use of meta data in research to enable Chinese herbal medicine to become part of the mainstream medical system in the U.S. and abroad. 5. Sharing of experience by famous practitioners of experience treating difficult and complicated cases. 6. Exchanging experience and live demonstrations of tui-na, moxibutstion, cupping and other special Chinese Medicine techniques and treatments. 7. The use of taiqi, qigong, dietary treatments, musical therapy, and meridian cosmetology in modern health maintenance and preventative medicine. 1. Submit the Chinese and English title, abstract and full text (abstract should not exceed 300 words; full text should be no more than 2000 characters. Use Word format). Please send electronic version as attachment to cauaus@yahoo.com or cauagreat@gmail.com. 2. Please list the key words in both Chinese and English. 3. If there are multiple authors, please indicate the corresponding author (s). 4. Please indicate "2018 International Chinese Medicine Conference on Special Therapies as the subject of the email. Please use Word format, and select Times New Roman font, size 12. 5. The format as follows: Title (centered); name (centered); major author’s name, mailing address, telephone, fax and e-mail address (centered). 6. Retention of papers: Submitted papers will not be returned irrespective of whether the paper is accepted or rejected. Accepted papers will be compiled into a set and distributed participants. Please submit research papers and application forms before September 30, 2018 using the email address below (see Part IV). We will quickly review and respond by email. Those whose papers are accepted are requested to please promptly pay the relevant fees (see Part VI for payment methods). When payment has been received, the secretary general of the conference group will send you within three days the required invitation letter in English, which you may take to your local US Consulate to support your application for a US visa. Expenses include registration, paper compilation and banquet on December 1 (see registration form). 4. Mailing Address: CAUA Association (please specify: 2018 International Conference). (1) Bank name: Bank of America. American licensed acupuncturists who officially register for this conference will receive 16 hours of continuing education credit approved by the California Acupuncture Board. Academic papers that are submitted to the Conference will be evaluated and may receive certificates or awards. The exhibited products may also receive awards. VIII. Visit, Travel Arrangements :( pending). On December 3, we will arrange for a limited group from the Conference to visit UCLA’s Center of East-West Medicine, and participate in a discussion with UCLA specialists and faculty. There will also be an opportunity to visit Alhambra Medical University and other acupuncture schools and research organizations, and Los Angeles Chinese medicine stores and companies, so attendees can fully understand the development of Chinese medicine in the U.S. and Los Angeles, and the opportunities for cooperation. Los Angeles is located on the beautiful Pacific Coast with many spectacular tourism sites. If you would like the Conference service office to arrange tourist travel for you before or after the Conference, please let us know when you sign up to attend. The Conference Service Office will be able to supply various travel itineraries, and help you arrange your trip. IX. Chinese Medicine Products Exhibition: Exhibition will take place in a room at the conference hotel (San Gabriel Hilton). Please arrive one day before the Conference. Vendors may begin setting up their booths on November 30, 2018, from 5:00-7:00 PM. Booth fee for a single booth is $2000; the fee for a double booth is $3,000. X. Other Outstanding Issues Will be Announced. © 2017 Copyright - CAUA.